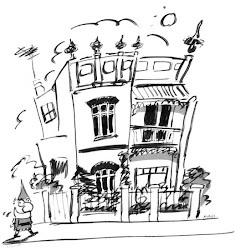 books illustrated blog: 'Hello! 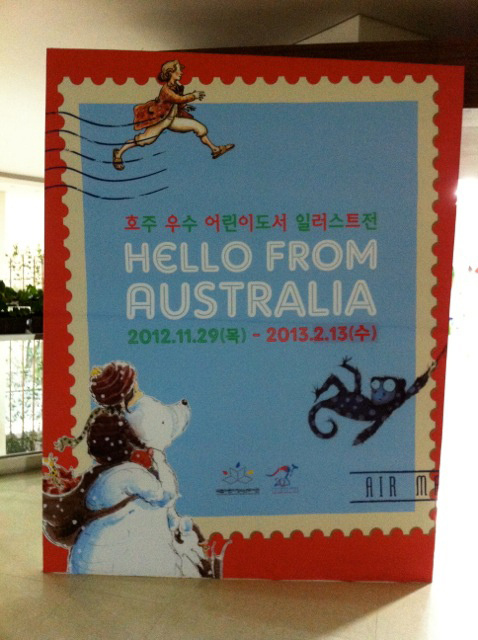 from Australia' exhibition... we're back from Korea! 'Hello! from Australia' exhibition... we're back from Korea! 'Hello! from Australia' exhibition includes 30 illustrations from recent Australian picture books and was put together as a promotional display for the Australian Publishers Stand at Bologna, 2012. With support from the Australia Korea Foundation and the Australian Embassy in Korea it is having quite an extended life. It toured on to be shown at the Paju Booksori Festival in Korea in October last year, and then to the National Library for Children and Youth in Seoul where it opened on November 29. We visited the exhibition on it's last day at the National Library, on February 13. It was specially curated for the space by designer Mr Kim Dae-Il and the Library director, Ms Wee. It was playful, busy and child-centred, and we were impressed to hear it has had 6000 visitors!